Two hedge funds want to oust Tuesday Morning’s Steven Becker, a fellow pushy investor who ended up as CEO. The home-furnishing chain’s stock has fallen 62 pct on his watch – a reminder that having smart financial ideas doesn’t mean activists make good corporate chieftains. 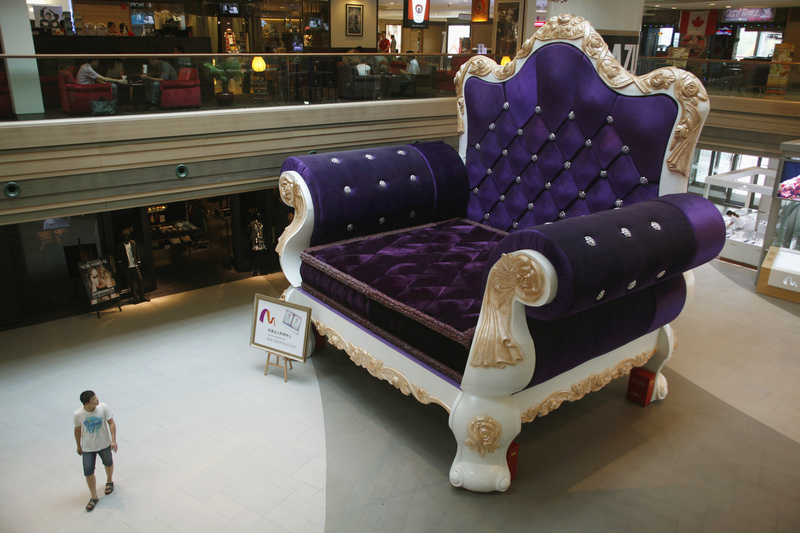 A man walks pass a 6.8-metre-tall (22-feet-tall) and 7.7-metre-wide (25-feet-wide) sofa chair at a shopping mall in Shanghai, September 3, 2012. Jeereddi Partners and Purple Mountain Capital Partners on Sept. 25 demanded the ouster of Steven Becker, chief executive of home-furnishings retailer Tuesday Morning. They also said they want two seats on the board. In a joint letter to Tuesday Morning’s Chairman Terry Burman, the two hedge funds said the company was trading at a big discount to its peers and could be worth in excess of $10 to $20 a share with the right leadership. The firms, which together own 2.4 percent of Tuesday Morning, propose to install Michael Barnes, a former CEO of Signet Jewelers, to replace Becker. Tuesday Morning’s shares jumped as much as 14.5 percent to $2.75 a share in morning trading on Sept. 25, dropping back somewhat to trade around 8 percent higher by mid-afternoon.